The Martian Chronicles | Z-File, Inc. The Ray Bradbury publishing program with Hill & Wang’s Novel Graphics imprint continues with The Martian Chronicles, adapted by Dennis Calero. 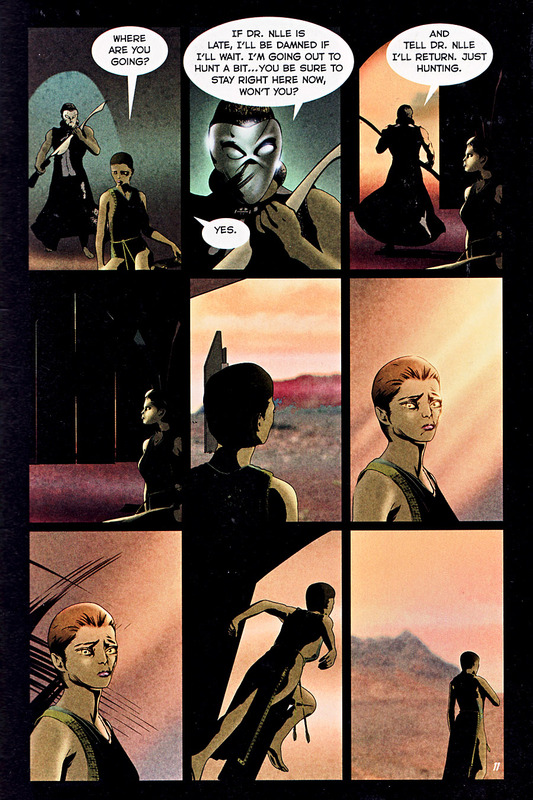 One of Bradabury’s (and the world’s) best-known titles, the graphic adaptation is 160 pages in full color. Calero’s work includes Acclaim Comics’ licensed-product titles Sliders and Magic: The Gathering; Moonstone Books’ TV tie-in titles Cisco Kid and Kolchak: The Night Stalker, Platinum Comics’ Cowboys & Aliens; IDW Publishing’s Masters of Horror: Dreams in the Witch House; and Marvel Comics’ X-Factor, during his tenure on which the title was nominated for the Harvey Award for Best New Series (2006). Calero drew an arc of Legion of Super-Heroes for DC Comics. His latest Marvel series, X-Men: Noir, was released in December 2008. X-Men Noir: Mark of Cain was released by Marvel Comics in December 2009. 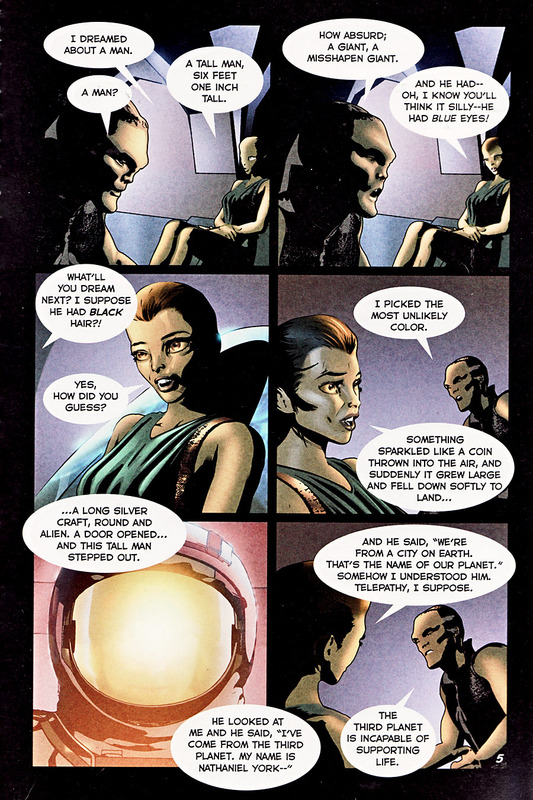 In Summer 2010 Calero relaunched Doctor Solar for Dark Horse. In The Martian Chronicles, illustrated in color by Dennis Calero, we enter a surreal, deeply colored world of mind games, murder, and red sky. These linked stories, in which the Earthmen colonize Mars after destroying their own planet, are well-suited to the graphic novel form; told in dystopian vignettes. 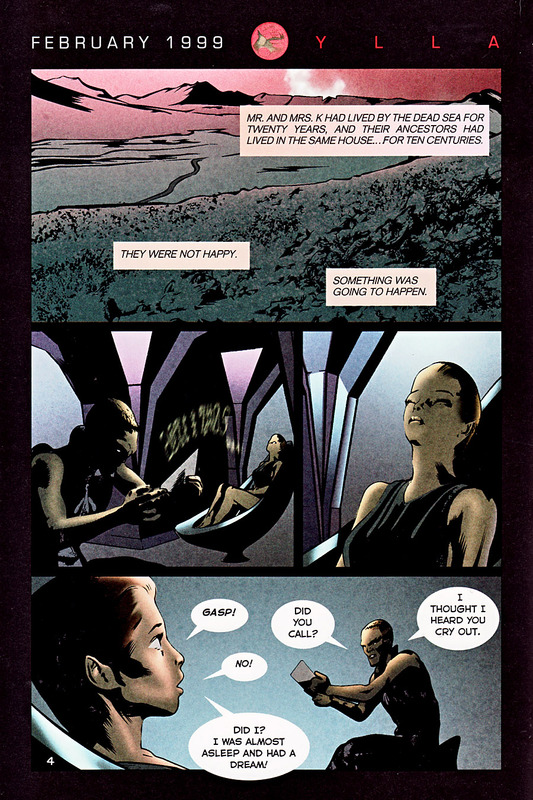 Two particularly strong scenes feature a poisonous prison of a Martian marriage in “February 1999, Ylla” to a vivid rendition of “April 2000, the Third Expedition,” in which Martians dupe the humans into believing they are in a typical Midwestern town in the 1920s in order to lure them into their own memories and kill them in the night. Fortunately, Ron Wimberly and Dennis Calero’s visions are ultimately ones you want to inhabit. These graphic adaptations share in the feeling of being natural extensions of their non-illustrated counterparts. 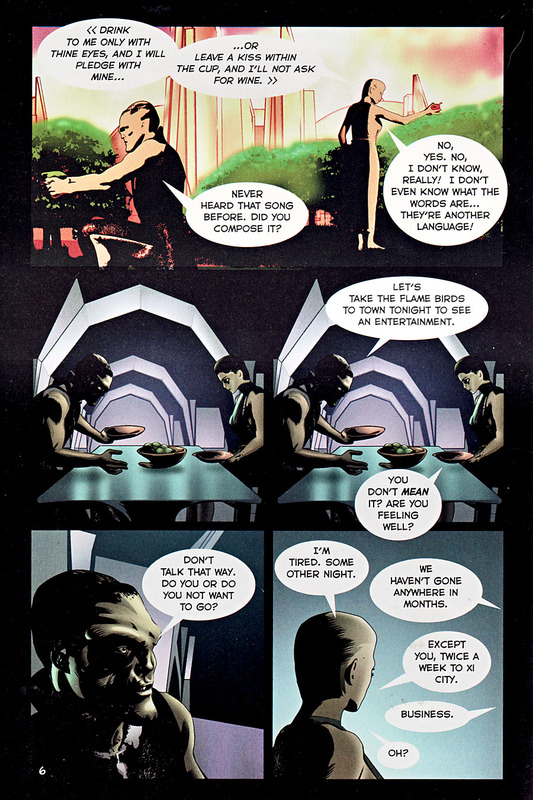 The graphic novel form is so appropriate to this material it is as if these adaptations always existed, and encountered as separate entities from the purely textual novels, one does not feel the need for the filling in of any blanks. One of the most poignant sf stories of all time, Bradbury’s classic anthology of loosely connected vignettes paints a picture of humanity that may take to the skies but remains mired in terrestrial flaws. Earth invaders of the red planet and the (also flawed) Martians kill and deceive one another—and themselves—until cataclysms on both planets set the stage for a hoped-for new beginning. This skillful adaptation includes 15 of the vignettes, about half the originals, that together preserve the texture and momentum of the original. The text also maintains much of Bradbury’s poetic diction. 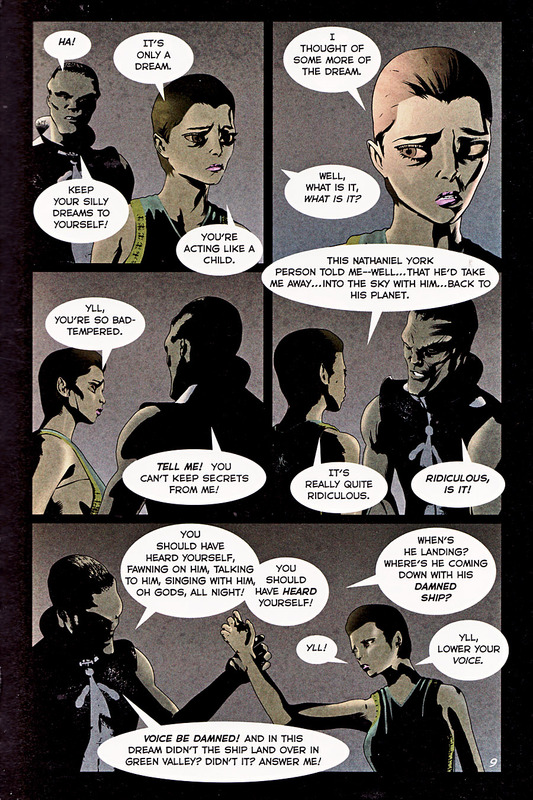 Calero’s mostly realistic colors integrate smoothly with the story and are well designed. However, the more stylish, beautiful approach occasionally in evidence, as in the city depicted in “Night Meeting,” would have better suited additional parts of the text to convey Bradbury’s aura of doomed romanticism. Verdict: A harbinger of modern environmental and anti­war concerns, The Martian Chronicles deserves this attractive graphic novel to sell its message to an even wider audience. The Earthmen came by the handful, then the hundreds, then the millions. They swept aside the majestic, dying Martian civilization to build their homes, shopping malls, and cities. Mars began as a place of boundless hopes and dreams, a planet to replace an Earth sinking into waste and war. It became a canvas for mankind’s follies and darkest desires. Ultimately, the Earthmen who came to conquer the red-gold planet awoke to discover themselves conquered by Mars. Lulled by its ancient enchantments, the Earthmen learned, at terrible cost, to overcome their own humanity. 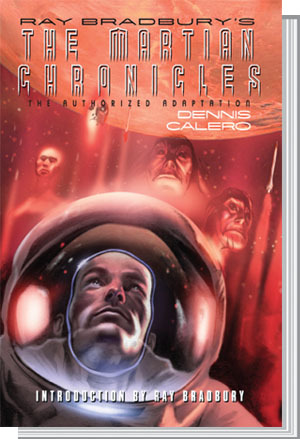 Rendered in gorgeous, full-color art by Dennis Calero, Ray Bradbury’s The Martian Chronicles: The Authorized Adaptation graphically translates fourteen of Bradbury’s famous interconnected science-fiction stories, turning an unforgettable vision of man and Mars into an unforgettable work of art. The Martian Chronicles is a brilliant collection of interconnected short stories about earthlings traveling to Mars that was first published as a loose novel in 1950. Most of the people checking out the comic will have already read the book and loved it. Possibly they own it, and so much of this book’s success or failure rides on the degree to which Dennis Calero’s artwork enhances or adds new perspective to the stories. 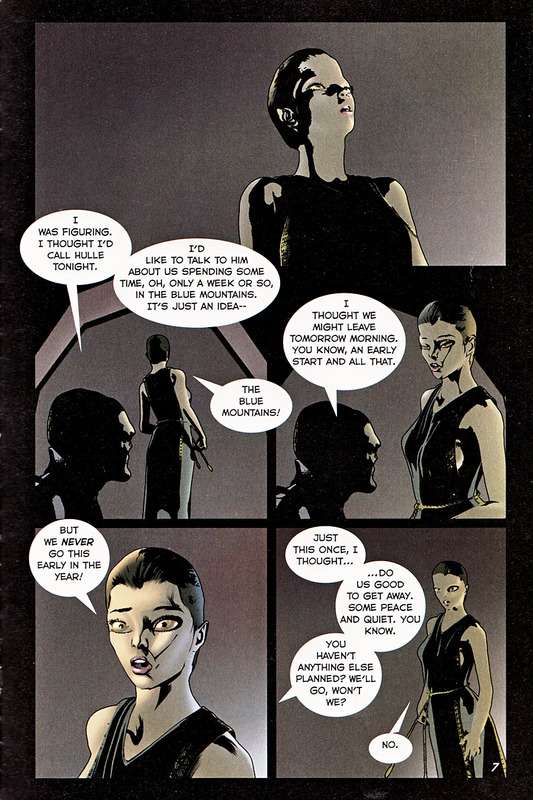 Calero’s past efforts include notable work on X-Men Noir and X-Factor for Marvel. 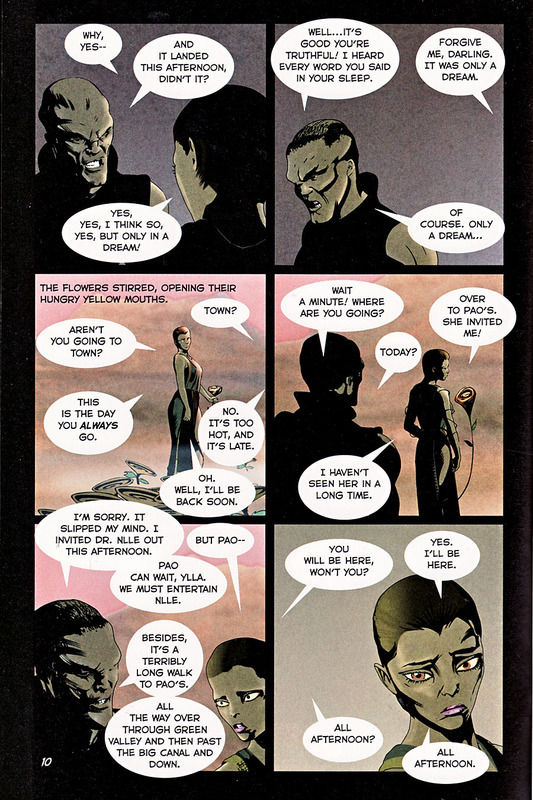 Bradbury’s dialogue and prose are stitched into Calero’s full-color drawings, and the images succeed in capturing the mood of the original stories. Bradbury’s prose is always a little dark around the edges while Calero’s images are shadowy and the poetic renderings are set against a red sky.The Earth Men and The Third Expedition are old favorites but the graphic novel concept gets the best traction in Night Meeting, a story about a man and a Martian meeting on a desolate road and The Musicians, a tale about children playing in the ruins of Martian civilization. It’s a stunning one-two punch midway through the book where the artwork really pulls its weight. Dennis Calero Attended the New World School of the Arts in Miami, then studied architecture at the Pratt Institute in Brooklyn, before switching to its illustration program and studying comic book illustration and continuity. Along with Kristin Sorra in 1995, Calero created Atomic Paintbrush to provide computer coloring for Marvel and DC Comics, and Acclaim Entertainment. This created an opportunity for commissioned posters for Marvel Comics and various projects for AOL Time Warner and Sony. After a number of years painting books covers, he returned to comics on Marvel’s Harvey Award-Nominated X-Factor (2006). He illustrated a run of Legion of Superheroes for DC Comics, and his graphic adaptation of Frankenstein for Stone Arch Books was a Junior Library Guild selection. He returned to Marvel for the acclaimed X-Men Noir Series, doing interior art and a well-received series of covers.